Police have identified a person of interest in the killing of a Yeadon, Delaware County woman early Thursday morning. Authorities are looking for 35-year-old Mark Epps of the 1300 block of S. Markoe Street in Philadelphia. 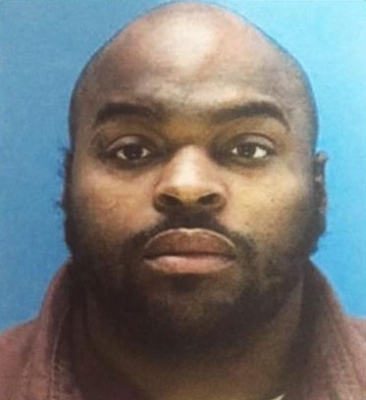 He is described as 5' 11", 215 lbs. He should be considered armed and dangerous. 32-year-old Natasha Gibson from Yeadon was found unresponsive with a laceration to her throat on the doorstep of a family friend at around 3 a.m. K-9 units tracked blood back through Upper Darby to 61st and Baltimore Ave. in Southwest Philadelphia. There was evidence of the crime at this location and a knife was found in a sewer. Police believe that Epps was also injured and may be cut. Anyone with information should contact Yeadon Police. Philadelphia Police have arrested a man for hit-and-run and suspected DUI after hitting a person and several parked cars this morning. It happened around 11:20 a.m. near 2nd and Allegheny in the city's Fairhill section. The driver hit a pedestrian and continued driving along Allegheny hitting several parked cars before crashing two blocks later. Several witnesses wrestled with the man and held him until police arrived to arrest him at 4th and Allegheny. The victim is at Temple University Hospital in critical condition. Donald Trump is back in our area today after unveiling his plans for child care and maternity leave here just about a week ago. He is holding a rally at Sun Center Studios in Aston, Chester Township, Delaware County. Before his appearance, Trump and his campaign stopped by Geno's Steaks and 9th and Passayunk in South Philly for some cheesesteaks. He ordered a bunch of sandwiches, some with some without. Pennsylvania has become a key battleground state in the race for the White House. Hillary Clinton was in Philadelphia on Monday speaking about millenials at Temple University. Earlier today, Trump was in Pittsburg.